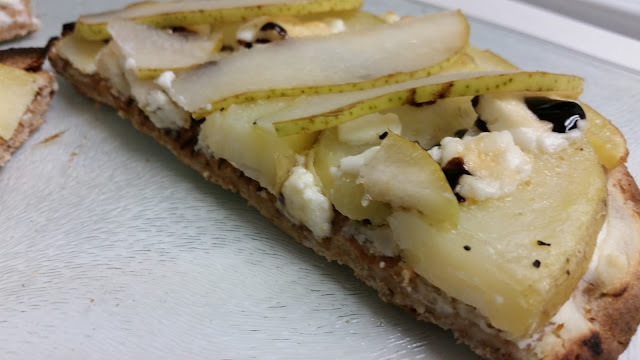 I'm really trying to do "Fall" things, like use the oven, and eat pears. Even though it is still hot here. This pizza is a good compromise. 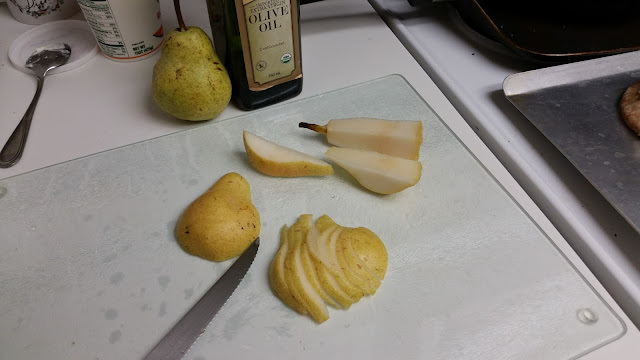 Quick oven time, bright, cool pears, with the warm potatoes. Win! 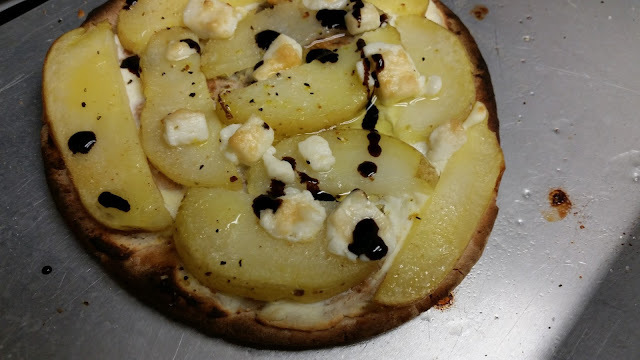 Inspired by Tiffani Thiessen's Cooking Channel show, where she made a potato pizza! 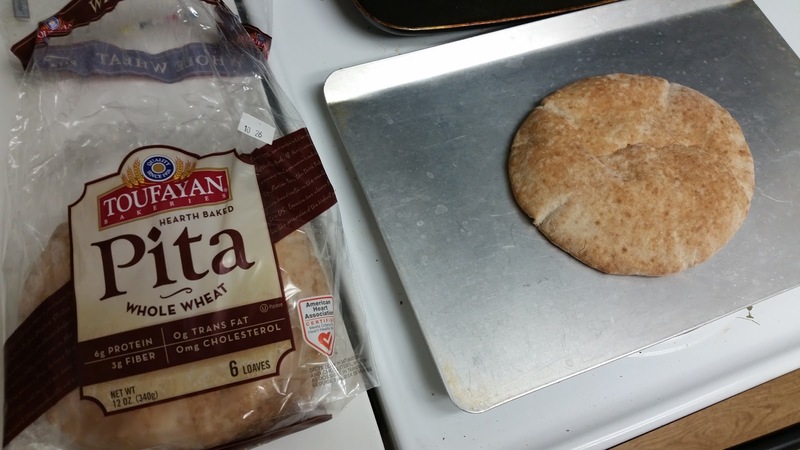 I love using whole wheat pita as a pizza crust. So easy! 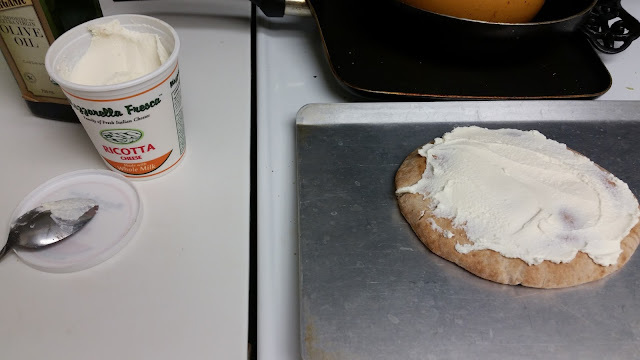 Spread the ricotta cheese over the pita crust. Season with salt and pepper, and a drizzle of olive oil. Lay thinly sliced potatoes over the ricotta. 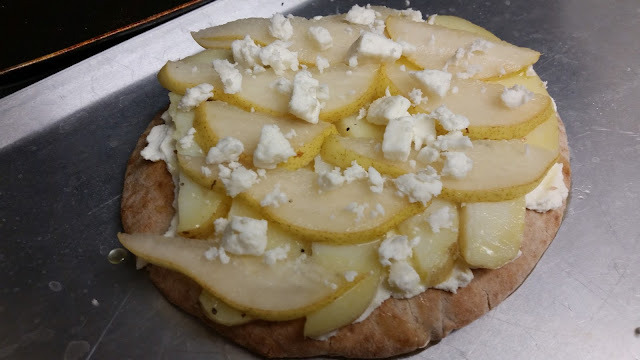 Crumble feta cheese over the top. 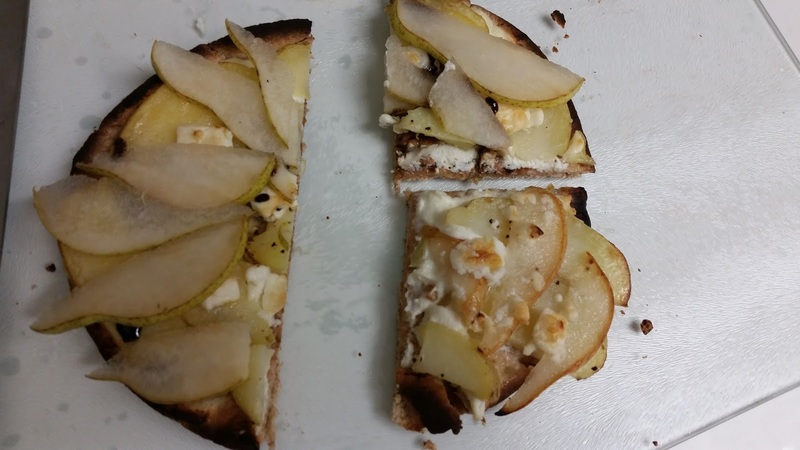 *You can add thinly sliced pear now, and bake them, or add after the pizza comes out of the oven for a cool and textural contrast. I tried one of each - both good. 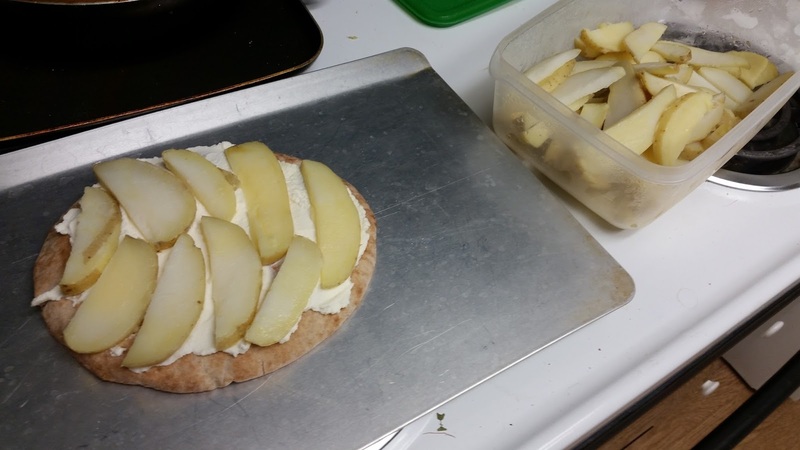 Place in the oven under the broiler until potatoes are warmed and edges are browned, cheese is warmed, and crust is crispy. This takes about 5-10 minutes. Watch it closely, and, if the broiler is going to cook it too quickly, you can bake at a high oven temp. 450 degrees for a few minutes longer. 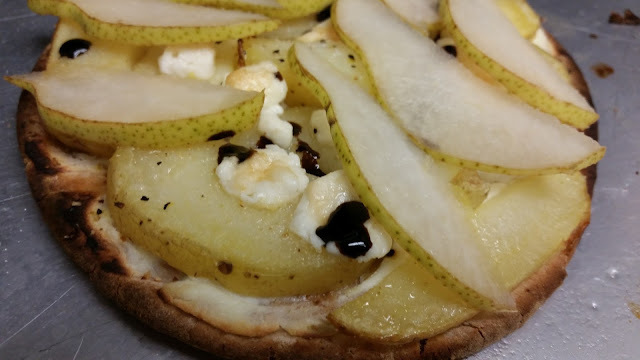 Remove from oven and top with the sliced ripe pear, if you didn't already, and a drizzle of balsamic glaze, because, always. Cut when cooled slightly, and serve.